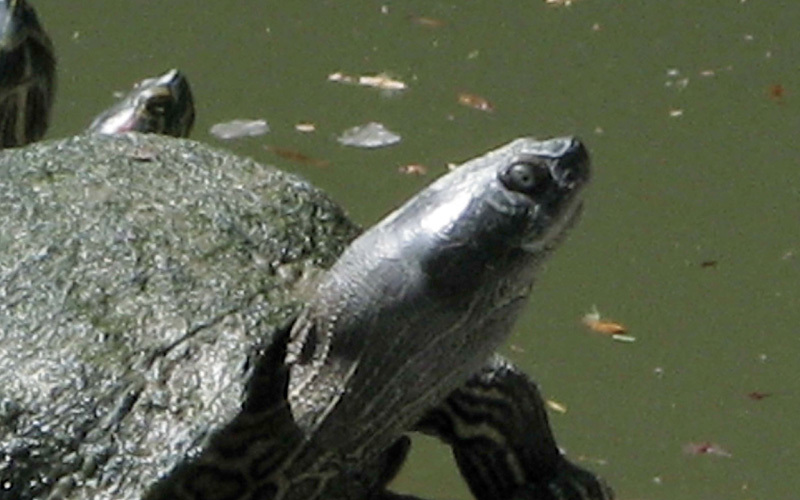 The Jamaican Pond Turtle are fresh water turtles that grow to a moderate size. They can be found in many different areas across the island of Jamaica. Their shell is olive/yellow while the skin of the upper surface of the head, limbs and tail are slate grey. Males have larger claws on their forelimbs than do females and have a dark mottled skin. These turtles share similar habits as the red-eared slider.